Cinema 4D developer acquires new rendering technologies to help fully facilitate the productivity of creative professionals. Ask any digital artist about 3D art, and many of them will attest to the rendering process being one of the most time-consuming parts of a 3D pipeline. So news of Cinema 4D developer Maxon recently acquiring Redshift rendering technologies will no doubt be well received within the 3D community. Already available as a third-party plugin for Cinema 4D, Redshift is a powerful and flexible GPU-accelerated renderer, now built into Maxon's 3D software. Tailored to support both creative individuals and studios, Redshift comes complete with an extensive toolset that aims to simplify the rendering process and therefore tackle complex 3D projects with more speed and efficiency than other rendering solutions. 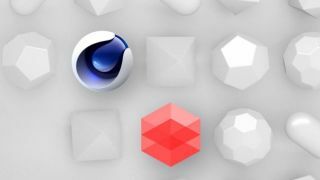 Ease of use: In the complex world of 3D content creation, Cinema 4D is widely recognised as the easiest of the 3D packages to pick up and learn. Compared to other renderers, Redshift is easy to use, making rendering easier, faster, and more efficient. The combination of Cinema 4D and Redshift will bring an unprecedented accessibility and efficiency to 3D production. Stability: Both Cinema 4D and Redshift are recognised for their stability and production reliability. In the deadline- and budget-constrained post-production world, stability and performance are an essential component. Speed: Redshift is a high-performance production-quality renderer that supports biased rendering techniques for incredibly fast, noise-free renders. Cinema 4D is known for its inspiring and efficient workflow. Designers have discovered using the two products together saves time and money and unleashes artists’ creative potential. Photo-realistic results: Redshift is not just fast, it also provides useful features for remarkably photo-realistic imagery. The results are comparable to those rendered by unbiased rendering engines. Interactivity: Redshift’s RenderView Interactive Preview Region (IPR) allows you to adjust the settings as you work on the scenes with no downtime. RenderView reflects changes to a scene in close to real-time. Integration: Redshift comes with a full suite of powerful features that already integrate extremely well with Cinema 4D. For more information on the acquisition and how it will affect existing Redshift and Cinema 4D users, visit the Maxon website.